”Where Nature Meets Art” Exhibit by the Artists of Spring Island: The Coastal Discovery Museum hosts a temporary exhibition of the work by the Artists of Spring Island, offering a glimpse into the beauty of one of Hilton Head’s neighboring islands. Coastal Discovery Museum, 70 Honey Horn Drive, Hilton Head Island. www.coastaldiscovery.org. “Music & Taste on the Harbour”: Now in its 11th season, the spring outdoor concert series features a variety of bands on select Thursday nights until May 16. Free. 6-9 p.m., Shelter Cove Harbour & Marina, 1 Shelter Cove Lane, Hilton Head Island. 877-567-6513 or www.sheltercovehiltonhead.com/music-and-taste. Jaume Plensa’s “Talking Continents” Exhibition: Telfair Museums’ Jepson Center presents a solo exhibition by artist Jaume Plensa titled “Talking Continents.” $20. 10 a.m.-5 p.m. Telfair Museums’ Jepson Center, 207 W York St., Savannah. www.telfair.org. “Rembrandt and the Jewish Experience” Exhibition at Telfair Museums: This exhibition contains 21 etchings by Rembrandt and one drawing by Rembrandt’s teacher, Pieter Lastman. These works highlight the artist’s nuanced relationship with Amsterdam’s citizens of the Jewish faith and the keen insights Rembrandt brought to interpretations of Old Testament Bible stories. $20. 10 a.m.-5 p.m., Telfair Museums’ Jepson Center, 207 W York St., Savannah. 912-790-8800. HHSO Presents Viva Italiano: The symphony will perform works of the greatest Italian composers, Verdi, Rossini, Puccini and more. The Hilton Head Symphony Orchestra Chorus and the Georgia Southern University-Armstrong Chorale will add their voices to this great evening. Tickets are $30, $45 and $55. 8 p.m., First Presbyterian Church, Hilton Head Island. 843-842-2055 or hhso.org. Hugel Wine Dinner: Join owner Jean Frederick Hugel for a night of Alsatian whites, showcasing their ability to pair with a wide variety of cuisine. $125, including tax and gratuity. 6:30 p.m., Charlie's L'Etoile Verte, 8 New Orleans Road, Hilton Head Island. 843-785-9277. Bald Eagles in South Carolina: Tom Murphy, a retired biologist from the South Carolina Department of Natural Resources and principal investigator for the bald eagle program for 33 years, will share his knowledge of the natural history of bald eagles in the Lowcountry. Reservations are required. $7. 3 p.m., Coastal Discovery Museum, 70 Honey Horn Drive, Hilton Head Island. 843-689-6767, ext. 223 or coastaldiscovery.org. Thomas Carrig to Speak on Legumes: The Palmetto Plant Eaters Club meets monthly to teach and support whole-food, plant-based vegan eating. The club will host Thomas Carrig as its guest speaker in April. Free. 6:30 p.m., Unitarian Universalist Congregation of the Lowcountry, 110 Malphrus Road, Bluffton. palmettoplanteaters.com. Mid-Week Lenten Services: Presbyterian, United Methodist, and A.M.E. churches in the greater Bluffton and Okatie areas will gather together in the season of Lent for worship and fellowship. A guest pastor will share the message during the 30-minute service. Offerings received as part of the service will support missions and ministries selected by the host church. Following the worship service, a light luncheon will be served. Noon. Church of the Palms, 1425 Okatie Highway, Okatie. 843-379-1888. Climate Change : The Coastal Discovery Museum will host Dave DesJardins for a program on climate change. Environmental scientists are increasingly alarmed to see that their models tracking climate change are accelerating. Reservations are required. $7. 3 p.m., Coastal Discovery Museum, 70 Honey Horn Drive, Hilton Head Island. 843-689-6767, ext. 223 or coastaldiscovery.org. “Horseshoe Crabs: A Living Fossil”: Dive in with us as we explore the horseshoe crab and investigate the life cycle and adaptations of this living fossil. Take a closer look at live horseshoe crabs, feel their tough exoskeleton, and watch them chew their dinner with their legs. Participants will decorate a shadow box and receive a horseshoe crab molt to display and remember the importance of these fascinating creatures. $15. 5-7 p.m., Coastal Discovery Museum, 70 Honey Horn Drive, Hilton Head Island. 843-689-6767, ext. 223. Music & Taste on the Harbour with Deas Guyz: Dance the night away at Shelter Cove Harbour & Marina to the tunes of Deas Guyz while enjoying great food. National Association of Women Artists South Carolina Chapter’s April Exhibit: The South Carolina chapter of the National Association of Women Artists presents a juried exhibit, “Transparency and Light.” The exhibit will be judged by Maggie Karis, owner of Karis Gallery on Hilton Head Island. 5-7 p.m., University of South Carolina Beaufort Center for the Arts, 805 Carteret St., Beaufort. thenawa.org. An Evening Celebration: This fundraiser gala benefits Family Promise of Beaufort Country’s vision: “Every child will have a home.” The evening will include live entertainment, a buffet dinner, beer and wine, and live and silent auctions. Reservations are required; tickets are $100. 5:30-9 p.m. Hampton Hall Clubhouse, 170 Hampton Hall Blvd., Bluffton. 843-815-4211. Hilton Head Dance Theatre Presents: “Terpsichore”: Hilton Head Dance Theatre's annual performance of classical and contemporary dance will open with "A Midsummer Night's Dream," staged by Karena Brock-Carlyle to the music of Felix Mendelssohn. Joel Johnson will be featured in the “Flames of Paris,” a variation he performed when he competed in the Youth America Grand Prix. $35 for adults; $25 for children younger than 18. 7:30 p.m., Arts Center of Coastal Carolina, 14 Shelter Cove Lane, Hilton Head Island. “Imagination & Fabrication” by Art Quilters of the Lowcountry: This exhibit celebrates fiber art and its unique ability, using various textures and quilting, to create the illusion of a third dimension. Free and open to the public. 10 a.m.-4 p.m. Mondays-Saturdays; noon-4 p.m. Sundays and 90 minutes before every Arts Center performance. Art League Gallery, Arts Center of Coastal Carolina, 14 Shelter Cove Lane, Hilton Head Island. 843-681-5060. “The Natural History and Archaeology of Beer”: Beer is the foundation of civilized life as we know it. Man started brewing beer 10,000 years ago, leading to the development of agriculture, settled life, and a myriad of other inventions. This presentation will take you from ancient Mesopotamia, China and Egypt to the jungles of the Amazon to understand the science behind how beer is made and to see how it has impacted our lives in ways we likely never think about. Reservations are required. $7. 3 p.m., Coastal Discovery Museum, 70 Honey Horn Drive, Hilton Head Island. 843-689-6767, ext. 223 or coastaldiscovery.org. “State of the Town”: The League of Women Voters of Hilton Head Island/Bluffton Area hosts Hilton Head Island Mayor John McCann and Bluffton Mayor Lisa Sulka, who will speak on the state of their towns. 10 a.m., Hilton Head Island Public Service District, 21 Oak Park Drive, Hilton Head Island. lwvhhi.org. Indigo Exploration: Journey to the past and “meet” Eliza Lucas Pinckney. In 1739, when Eliza was just 17, her experiments with indigo resulted in a very profitable industry for the colony of South Carolina. Hear her unique story, learn how indigo dye was made, and make your own indigo tie-dye T-shirt to take home. $15. 5-7 p.m., Coastal Discovery Museum, 70 Honey Horn Drive, Hilton Head Island. 843-689-6767, ext. 223. “Bringing the Wild Alive”: The Coastal Discovery Museum will host Lila Arnold, founder of Lowcountry Raptors, for a presentation using non-releasable birds of prey to teach us about conservation, habitat loss, and the natural history of the birds. Reservations are required. $7. 3 p.m., Coastal Discovery Museum, 70 Honey Horn Drive, Hilton Head Island. 8434-689-6767, ext. 223 or coastaldiscovery.org. “Before Midnight: Bonaventure and the ‘Bird Girl’”: Telfair Museums presents Sylvia Shaw Judson’s iconic sculpture “Bird Girl” within the context of the history and art of Bonaventure Cemetery. $20 for adults; $18 for seniors older than 65 and active-duty military with military ID; $15 for students ages 13-25 with student ID; and $5 for children ages 6-12. Free for museum members. 10 a.m.-5 p.m. Telfair Museums’ Telfair Academy, 121 Barnard St., Savannah. 912-790-8800 or www.telfair.org. Village at Wexford Shop Hop and Bunny Hop Trail: Great deals, live music, gourmet treats and the popular Bunny Hop Trail will provide an afternoon of fun for the whole family and an opportunity for kids to have their photo taken with the Easter Bunny. 2-6 p.m. 1000 William Hilton Parkway, Hilton Head Island. Taste of Bluffton Street Festival: A Southern celebration of food. Those older than 21 must purchase admission ticket, which includes wristbands for entry and one beverage ticket. Purchase samples of delicious food from various local restaurants and enjoy some shopping with local vendors. 10 a.m.-4 p.m., 50 Calhoun St., Bluffton. www.tasteofbluffton.com. Native Plant Sale: The Coastal Discovery Museum will host its annual native plant sale. The museum will have a variety of native plants to cover diverse landscaping needs, from vines to blooming bushes to butterfly friendly landscaping. You will learn from the experts what are the best native plants for your landscape. 10 a.m.-1 p.m. Coastal Discovery Museum , 70 Honey Horn Drive, Hilton Head Island. Bettman & Halpin perform at Music on Malphrus: Bettman & Halpin play original folk and Americana. Their concerts combine high-energy upbeat bluegrass/roots inspired compositions, beautiful ballads with soaring vocals and heartfelt lyrics, and groovy feel-good songs. $20. 7 p.m., The Unitarian Universalist Congregation of the Lowcountry, 110 Malphrus Road, Bluffton. 843-837-3330 or uulowcountry.org. Helping Parents Heal: This is a nonprofit organization dedicated to assisting parents who have lost children, giving them support and resources to aid in the healing process. Everyone is welcome to join the meeting this April. 1-3 p.m., The Unitarian Universalist Church, 110 Malphrus Road, Bluffton. 201-233-6015. The First Tee of The Lowcountry Community Leadership Banquet: An award dinner to recognize the winners of the Community Leadership Awards and support The First Tee of The Lowcountry. $125. 5-7:30 p.m., Sea Pines Country Club, 30 Governors Road, Hilton Head Island. thefirstteelowcountry.org/events2/awardsbanquet/. Arthouse Cinema: “First Reformed”: You do not want to miss one of the most buzzed-about films of 2018, with more than 50 wins and 90 nominations on the festival circuit — including Best Film from Venice Film Festival, Movie of the Year by AFI, and an Academy Award nomination for Best Original Screenplay. $5 for SCAD cardholders, non-SCAD students, and children younger than 15; $8 for seniors and military; and $10 for the general public. 7 p.m. Lucas Theatre For the Arts, 32 Abercorn St., Savannah. tickets.savannahboxoffice.com. 23rd Annual Christian Heritage Breakfast: The 23rd cnnual Christian Heritage Breakfast will feature PGA Tour winner Chesson Hadley and special music by Lavon Stevens. The event is sponsored by the Fellowship of Christian Athletes, the College Ethics Symposiu and Charter One Realty. Open to the public but reservations are required. $30 for individuals; $225 for a table of eight. 7-9 a.m., Hilton Head Island Beach & Tennis Resort, 40 Folly Field Road, Hilton Head Island. 843-290-3744 or christianheritagebreakfast.com. The Chiggers: Live at Street Meet: Join us outside for music on the patio featuring The Chiggers for Kickoff to Heritage on April 17 and Kickoff to Memorial Day Weekend on May 24. 7 p.m.-10 p.m. April 17 and 8-10 p.m. May 24. Street Meet — The American Tavern, 95 Mathews Drive, Hilton Head Island. 843-842-2570 or www.streetmeethhi.com. European Treasures: Two masterful Lowcountry performance ensembles join together as The Mary Green Chorale presents EUROPEAN TREASURES. This concert marks the first partnership of the 60-member Lowcountry Wind Symphony and The Mary Green Chorale.The program opens with an a cappella arrangement of the "Star-Spangled Banner" and then takes concertgoers on a musical journey throughout Europe, featuring well-known music from Germany, France, England, the Czech Republic and Russia. Tickets are $27. 7:30 pm. Holy Family Catholic Church 24 Pope Avenue, Hilton Head Island. For more information: www.marygreenchorale.org. Cinema Circle: “Grave of the Fireflies”: This is the story of Seita and his younger sister, Setsuko, two children born at the wrong time, in the wrong place, and now cast adrift in a world that lacks not the care to shelter them, but simply the resources. Free for SCAD cardholders; $5 for seniors, students, and military; $8 for the general public. 8 p.m., Trustees Theater, 216 E Broughton St., Savannah. tickets.savannahboxoffice.com. Olukai Pint Night at Outside Hilton Head: The event is hosted in conjunction with OluKai footwear, who will be on site to help you choose the perfect pair of flip-flops to go with your Heritage outfits. Free beer will be served in custom OluKai stainless steel pint cups and The Bee’s Creek Ramblers, better known as Andy and Dad of Lowcountry Boil, will be playing live. Other highlights include delicious snacks, super cool door prizes, games and fun times with the Outside crew. Free. 5:30-8 p.m., Outside Hilton Head, Shelter Cove Plaza, 50 Shelter Cove Lane, Hilton Head Island. www.outsidebrands.com. Rollers Hourglass Wine Dinner: Enjoy wines and beers by the glass, cheese and charcuterie plates, and the perfect cigar on our garden patio. Tickets are $99 plus tax and gratuity. 7:30-10 p.m. Rollers Wine & Spirits, 9 Palmetto Bay Road, Hilton Head Island. 843-842-1200 and www.rollerswineandspirits.com. Full Moon — Pink Moon Cruises: Enjoy the magic of the Lowcountry under a full moon sky aboard a 63-foot catamaran with upper and lower decks, full bar and galley kitchen serving up lunar libations and celestial snacks. For ages 21 and older only. 7-9 p.m. The Salty Dog Café, 232 S Sea Pines Drive, Hilton Head Island. 843-540-8040. “If These Walls Could Talk: 200 Years of William Jay Architecture”: Two of Savannah’s most prominent properties, Telfair Museums’ Owens-Thomas House & Slave Quarters and Telfair Academy, turn 200 this year, and the museum is celebrating with an exhibition in their honor. The exhibition opens April 19 and runs through 2020. $20 for adults; $18 for senior older than 65 and active-duty military; $15 for students ages 13-25; and $5 for children ages 6-12. Free for museum members. 10 a.m.-5 p.m. Telfair Academy, 121 Barnard St., Savannah. 912-790-8800 or www.telfair.org. Salty Dog Easter Egg Hunt Eggstravaganza: Children 12 and younger will be search all over South Beach for more than 10,000 Easter eggs filled with tasty treats and fun Salty Dog swag. Plus, free face-painting and children's entertainment provided by Beth the Music Lady. 10-11 a.m. The Salty Dog, South Beach, Hilton Head Island. Community Easter Egg Hunt: St. Andrew By-The-Sea United Methodist Church's Bluffton Worship has changed the time for its Community Easter Egg Hunt, to coordinate with Bluffton's annual Children's Easter Parade set for the same day. Children interested in the hunt are encouraged to bring a bag or basket, if possible. Refreshments provided. Free. 10-11 a.m., Bluffton Oyster Factory Park, 63 Wharf St., Bluffton. monicabhhiumc@gmail.com. Sunrise Service at Coligny Beach: Gather as the sun comes up on the beach at Coligny for singing, a short message, and prayer on Easter morning. Beach chairs welcome. Donations for missions appreciated. 7-7:30 a.m. 20 Pope Ave., Hilton Head Island. New Sunrise Service: Hosted by St. Andrew By-The-Sea and First Zion Missionary Baptist Church. 7 a.m., Bluffton Oyster Factory Park, 63 Wharf St., Bluffton. Sir Nick Faldo hosts free golf clinic: Sir Nick Faldo, ranked No. 1 in the world for 98 weeks by the Official World Golf Rankings and six-time Major champion, will host a special golf clinic in conjunction with International Junior Golf Academy and International Junior Golf Tour. Free. 10 a.m., Pinecrest Golf Club, 1 Pinecrest Way, Bluffton. “The Many Benefits of Sharks”: People tend to think of sharks as dangerous, indiscriminate predators. Dr. Ritchie aims to make you think differently about sharks and their benefits to humans, our ecosystems and our planet. She will also discuss our local sharks and their antibiotic-producing microbial partners. Reservations are required. $7. 3 p.m., Coastal Discovery Museum, 70 Honey Horn Drive, Hilton Head Island. 843-689-6767, ext. 223 or www.coastaldiscovery.org. Sweetgrass Basket Workshop: Learn about the history of the sweetgrass basket, one of the Lowcountry's best known art forms, from a local seventh-generation Gullah basketmaker. Then try your hand at starting a basket of your own using locally found natural materials. All materials are provided. $65 per person. 5-7 p.m., Coastal Discovery Museum, 70 Honey Horn Drive, Hilton Head Island. 843-689-6767, ext. 223. “Sea Turtle Conservation: A Changing Landscape”: The Coastal Discovery Museum will host Kelly Thorvalson for this program. Join us to discover how you can help us protect turtles into the future. $7. 3 p.m., Coastal Discovery Museum, 70 Honey Horn Drive, Hilton Head Island. 843-689-6767, ext. 223 or www.coastaldiscovery.org. “An Afternoon With Martha Stewart”: Telfair Museums presents lifestyle expert, garden guru and author Martha Stewart. She and Kevin Sharkey, executive vice president and executive director of design for the Martha Stewart Brand, will share expert flower growing, gathering, and arranging insights from the newly released “Martha’s Flowers: A Practical Guide to Growing, Gathering, and Enjoying.” $50 for the lecture; $150 for lunch and the lecture; $200 for a patron lunch and the lecture. Noon and 2:30 p.m. Luncheon will be at noon at Perry Lane Hotel, 256 East Perry St.; the lecture will be at Savannah Theatre, 222 Bull St. 912-790-8800 or www.telfair.org. “Barefoot in the Park”: Neil Simon’s Broadway hit comedy “Barefoot in the Park” closes the Lean Ensemble Theater season with a light-hearted look at a pair of newlyweds, Corie and Paul Bratter, who are just returning from a six-day honeymoon at The Plaza. $40 for adults; $15 for students and active-duty military. 7:30 p.m. April 25-27 and May 2-4, and 2 p.m. April 28 and May 5. 843-715-6676 or www.leanensemble.org. Spring Luncheon: The Women’s Association of Hilton Head Island will host a spring luncheon featuring keynote speaker Vera Stewart, host of the “Very Vera Show.” A silent auction with fabulous items from local merchants will take place before the luncheon. Tickets are $30 ($32 online) for members; $38 ($40 online) for guests. Auction opens at 10 a.m.; lunch served at noon. Sonesta Resort Shipyard Plantation, 130 Shipyard Drive, Hilton Head Island. Anne Lambdin at reservations@wahhi.org or wahhi.org. 2019 Bluffton Sunset Parties: The Bluffton Sunset Party Summer Party kickoff will feature Kyle Shiver and Rolling Stones tribute band White Liquor. Each sundown celebration features a different theme, with a variety of foods and activities for all ages. The parties are held once a month during the summer. Tickets are $5 at the door; free for children ages 12 and younger. 5:30-9:30 p.m. Oyster Factory Park, 55 Wharf St., Bluffton. 843-757-8520 or www.blufftonsunsetparty.com. 2019 Golden Oyster Awards: The Greater Bluffton Chamber of Commerce annually recognizes outstanding local businesses that have made substantial contributions to the success of the greater Bluffton community. This year, the award ceremony will be transformed into the first-ever Golden Oyster Awards. $95. 5-8 p.m. Seaquins Ballroom, 1300 Fording Island Road, Bluffton. jessica@blufftonchamberofcommerce.org. 2019 Old Town Bluffton Paint Out: Artists are invited to break out their paintbrushes and sun hats for this fun plein air painting event. Entry fee is $20 in advance and $25 on the day of the event. 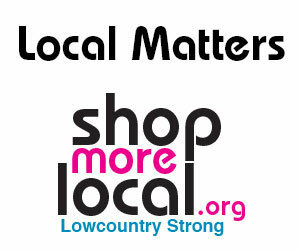 10 a.m.-4 p.m., Calhoun and Lawrence streets, Bluffton. 843-757-8185 or www.sobagallery.com. Palmetto Heart 5K Run/Walk: Join Heart Walk Heroes from across the nation raising funds for lifesaving science — science that can teach us all how to live longer and healthier. Registration is $30 until April 26 and includes a 5K shirt; race fee is $35 on the day of the event. 8:30 a.m., 39 Shelter Cove Lane, Hilton Head Island. www.palmettoheartwalk.org. Hilton Head Humane Association’s Dog Walk on the Beach: Mark your calendars for the 22nd annual Dog Walk on the Beach. $30. 8:30-10:30 a.m. Coligny Beach, 1 N Forest Beach Drive, Hilton Head Island. www.hhhumane.org. Salty Dog Burger Bash: There's not much that beats a big juicy burger and a waterfront view. Join us as we celebrate the American classic with burgers that will blow your mind and your tastebuds, plus live music on the docks. 4-8 p.m., The Salty Dog, South Beach, Hilton Head Island. Art Market at Historic Honey Horn: Ninety accomplished artists from the region and from across the country will be on site for the 17th annual Art Market. Stroll through artists’ booth under historic live oaks to find the perfect piece of original art to take home. Fine art and craft in all shapes, sizes, styles, price ranges, and media will be available for purchase. $3 per person. 10 a.m.-5 p.m. April 27 and 11 a.m.-4 p.m. April 28. Coastal Discovery Museum, 70 Honey Horn Drive, Hilton Head Island. 843-689-6767, ext. 224. Cinema Circle: “The Secret of Kells”: Magic, fantasy and Celtic mythology come together in a riot of color and detail that dazzle the eyes in this sweeping story about the power of imagination and faith to carry humanity through dark times. Free for SCAD cardholders; $5 for seniors, students and active-duty military; $8 for the general public. 8 p.m., Trustees Theater, 216 E Broughton St., Savannah. www.tickets.savannahboxoffice.com. “A Chorus Line”: This nine-time Tony Award-winning musical follows a day in the lives of 17 dancers, all vying for a spot in the chorus line of a Broadway show. After the first round of cuts, director and choreographer Zach asks each dancer to talk about themselves. $49 for adults and $36 for children ages 5-15 May 1-2; $59 for adults and $46 for children ages 5-15 May 3-June 2. Arts Center of Coastal Carolina, 14 Shelter Cove Lane, Hilton Head Island. www.artshhi.com. “Run for the Roses”: Join Volunteers in Medicine Hilton Head Island Clinic to share in the excitement of the Kentucky Derby. It’s the world of high-stakes horse racing and loads of fun. Each guest will receive a fistful of “Funny Money” and an “Odds Board” with clues to the evening’s racing events. $125. 4:30-7:30 p.m., Poseidon Rooftop Bar, 38 Shelter Cove Lane, Hilton Head Island. vimclinic.org or 843-689-6612. TEDxHiltonHead: TED is a nonprofit group devoted to spreading ideas, usually in the form of short, powerful talks. $75. 8:30 a.m.-2:30 p.m., Hilton Head Symphony Orchestra’s SoundWaves, 7 Lagoon Road, Hilton Head Island. www.tedxhhi2019.eventbrite.com. 32nd Annual All Saints Garden Tour: All Saints Episcopal Church will present its 32nd annual Garden Tour. Six beautiful gardens have been selected from Spanish Wells, Hilton Head Plantation, Windmill Harbour, Waddell Mariculture Center, and Bluffton. $35. 10 a.m.-4 p.m. All Saints Episcopal Church, 3001 Meeting St., Hilton Head Island. 843-681-8333. Wounded Heroes Appreciation Event & Golf Classic: Welcome back our military heroes at our annual Wounded Heroes events, featuring live music, food, craft beer, auctions, guest speakers and golf. Entry fee is $200 per person; $800 per foursome. Hampton Hall Club, 170 Hampton Hall Blvd., Bluffton. www.woundedmilitaryheroes.org. Coastal Discovery Museum: The Coastal Discovery Museum offers nature and history tours, exhibits and talks. Some offerings are year-round; others change seasonally. Prices vary. 9 a.m.-4:30 p.m., Coastal Discovery Museum, 70 Honey Horn Drive, Hilton Head Island. 843-689-6767, ext. 223 or www.coastaldiscovery.org. Garvin-Garvey House Tours: Visit the newly restored Garvin-Garvey House for a guided tour. $5. By appointment from 10 a.m.-4 p.m. Tuesdays and Thursdays, Oyster Factory Park, 63 Wharf St., Bluffton. www.townofbluffton.sc.gov/garvin-garvey. Farmers Market of Bluffton: Fresh, locally grown vegetables, fruits, flowers, plants and herbs abound at the Farmers Market of Bluffton, a weekly community event where locals and tourists gather not only to buy excellent produce but also to enjoy delicious food, listen to entertainment, and relax with friends. 2-6 p.m. Thursdays, 40 Calhoun St., Bluffton. 843-415-2447. Hilton Head Farmers Market: Take home fresh produce, pasture-raised chicken, free-range rabbit, pork, seafood, salsa, fresh sausage, cookies, breads, she-crab soup and much more. Shopping at the Hilton Head Farmers Market is about more than getting great food. It is also about meeting friends, strengthening community, and rebuilding the local food economy. 9 a.m.-1 p.m. Tuesdays, Coastal Discovery Museum, 70 Honey Horn Drive, Hilton Head Island. 843-689-6767, ext. 226 or www.coastaldiscovery.org. Historic Tours by Bicycle: Take a ride along the waterfront corridor of Squire Pope Road and learn about Hilton Head Island’s unique and rich history, including its Native American history, the Civil War, Reconstruction, the Gullah community and more. The tour lasts about 90 minutes and is safe, casual and fun. Helmets are required; bug spray and water are suggested. Bring your own bike. $15 for adults and $10 for children ages 10 and older. 10 a.m. Wednesdays, leaving from 137 Squire Pope Road, Hilton Head Island. www.heritagelib.org. Tea Time at Rose Hill Mansion: Experience afternoon tea at a beautiful plantation house in the Lowcountry. Selections include custom crafted teas, elegant finger sandwiches and heavenly desserts. Small groups or large groups welcome; reservations are required. $40 per person. 2 p.m. Tuesdays, Rose Hill Mansion, 199 Rose Hill Way, Bluffton. 843-757-6046. Adult Paint and Play: Paint and Play is an adult wine and paint night of fun entertainment for all skill levels — no experience needed. Relax, unwind and let out your inner creativity as artist Kristin Griffis helps you create your own finished piece of artwork. Thursdays, Art League Academy, 106 Cordillo Parkway, Hilton Head Island. 843-842-5738 or www.artleaguehhi.org. Fishing & Crabbing Lessons: Ben Green with Mt. Calvary Missionary Baptist Church on Squire Pope Road will offer a free missionary program that teaches children fishing and crabbing skills. 4 p.m. Saturdays, Rowing & Sailing Center, 137 Squire Pope Road, Hilton Head Island. 843-816-0172. Guided Tours of Heyward House Museum and Welcome Center: The museum offers guided tours of the four-room Carolina farmhouse and two outbuildings, which are filled with interesting artifacts and furnishings from the late 1800s into the 1920s. Tours last approximately 45 minutes to an hour and are offered as visitors arrive unless previously scheduled. $10; reservations are not required except for groups of 10 or more. 10 a.m.-4 p.m. Monday-Friday and 10 a.m.-3 p.m. Saturdays, Heyward House Museum and Welcome Center, 70 Boundary St., Bluffton. www.heywardhouse.org. Deas Guyz at The Jazz Corner: $10. 7:30-11 p.m. Sundays, The Jazz Corner, 1000 William Hilton Parkway, Hilton Head Island. “Celebrating 20 Years of Jazz: 1999-2019”: The Jazz Corner marks its 20th anniversary with performances by Bobby Ryder on April 3 & 17 and legendary bluesman Earl Williams on April 10 & 24 — as well as performances by by Svetlana & The Delancey Five, The Champian Fulton Quartet, Velvet Caravan and local favorites like Deas Guyz and Lavon Stevens. The Jazz Corner, 1000 William Hilton Parkway, Hilton Head Island. 843-842-8620 or www.thejazzcorner.com. Monday Night Exhibition: Enjoy an exciting tennis demonstration with valuable tips, refreshments, prize drawings, and a traditional fishbowl sale. Sponsored by Sea Pines Real Estate, Prince, Adidas and Wilson. 5:30-7:30 p.m. Mondays through Aug. 26, Sea Pines Racquet Club, 5 Lighthouse Lane, Hilton Head Island. 843- 363-4495. “Jazz By the Sea”: Modern and classic jazz by the Mike Barbara Trio, featuring pianist Bill Peterson. 7-9 p.m. Tuesdays and Thursdays. Ocean Lounge, Sea Pines Beach Club, Hilton Head Island. 842-843-1888. History Classes at Heritage Library: $15 for Heritage Library members; $20 for non-members. 10:30 a.m.-noon Tuesdays, Heritage Library, 2 Corpus Christi Suite 100, Hilton Head Island. 843-686-6560. Ancestry Classes at Heritage Library: $15 for Heritage Library members; $20 for non-members. 12:30-2:30 p.m. The Heritage Library, 2 Corpus Christi Suite 100, Hilton Head Island. 843-686-6560.